​What is a Quaker anyway? What draws people to Quaker meetings in Manitoba, and what keeps them there? And what’s up with that ‘Canst Thou’ language? Everyone has a different story about why they come to Quakers. Cate talks about walking into her first Quaker meeting and knowing right away that she was the right place, as she experienced the profound silence of the gathering. Jennifer describes her deep attraction to Quaker vocal ministry. And Jim describes what it’s like be part of a Quaker wedding - right down to building the world’s most “Friendly” outhouse. 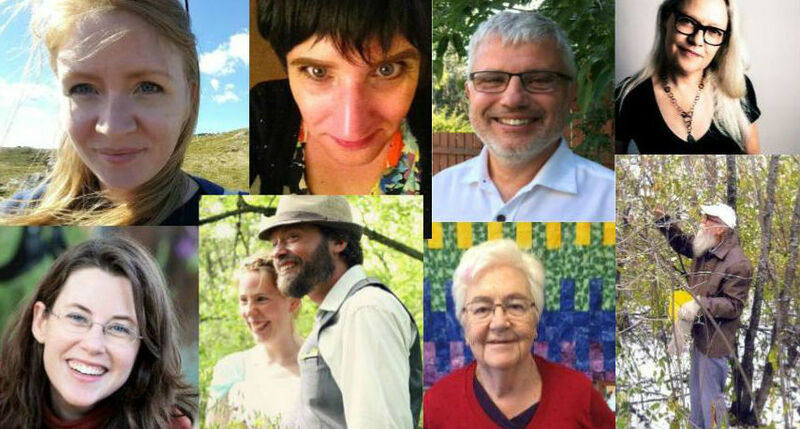 Listen to their stories here, in “What Canst Thou Say,” a special podcast hosted by Lara Rae. “What Canst Thou Say” is part of an oral history project the Winnipeg Quakers have embarked on to document more about Quakers in Manitoba. Podcast credits: Our storytellers were Gwen Anderson, Tom Findley, Cate Friesen, Jennifer Dueck, Jim Chapryk, John Samson-Fellows and Wruth Wood. Music by Art Turner. Thanks to Allison Penner, Elaine Bishop, Alex Merrill, Charlotte Burch and The Winnipeg Monthly Meeting of the Religious Society of Friends for their work on the Oral History Project “What Canst Thou Say? This podcast was made possible by funding provided by Manitoba Sport, Culture, and Heritage. Special thanks also goes to the Oral History Centre at the University of Winnipeg, especially Kent Davies for recording and mixing the audio for Gwen Anderson's story. Music in Gwen Anderson's story by Lori McCarville.